In a move to reach out to UKIP voters and its own backbenchers, the UK Conservative Party has announced its will to adopt its own British Bill of Rights and Responsibilities and transform the European Court of Human Rights (ECtHR) into an advisory body, a plan which is likely to lead to the UK’s withdrawal from European Convention on Human Rights (ECHR). After having reviewed the main tensions between Strasbourg and London, the article analyses the consequences such bold move could have on both the Council of Europe and the European Union before concluding that this state of play proceeds not from a eurosceptic trend but from a British ‘sovereignism creep’. It is no secret that the UK Conservative Party fears the prospect of the eurosceptic United Kingdom Independence Party (UKIP) jeopardising their chances of getting re-elected in 2015. This threat has become even more realistic as the UKIP have managed, as previously reported on this website, to win its first seat in the UK House of Commons, a seat previously held by a Member of the Conservative Party. Indeed, if re-elected in 2015, Conservatives have promised to restore the allegedly lost supremacy of the British Parliament over the jurisdiction of the European Court of Human Rights. To this end they have unveiled their plan for a kind of ‘opt-out’ making the ECtHR judgments only advisory instead of binding, which would enable the UK’s judges to simply ignore Strasbourg’s rulings. In replacement of the Human Right Act, their intention would be to adopt a British Bill of Rights and Responsibilities. In addition, the Tories’ strategy would seek to prevent the use of ECHR Article 8, which stipulates the right to a ‘family life’, by illegal immigrants in order to avoid their deportation. Conservatives wish as well to curtail the application of the Human Rights to the UK territory only, to avoid British soldiers in mission facing pursuits for their actions abroad. Everything was fine at first: As Nicolas Bratza underlines, “British parliamentarians and lawyers played a key role in [the Council of Europe’s] conception and its drafting of the ECHR”. The United Kingdom was a founding member of the Council of Europe (CoE) and was one of the first to sign the ECHR. However, in the recent years, a number of cases have tensed the relations between Strasbourg and London. The first real bone of contention came in 2005 with the Hirst v. UK ruling in which the ECtHR condemned the British Law denying prisoners their voting rights and gave the British government 6 months to remedy the situation. The state of affairs has been aggravated even further by the famous Abu Qatada v. UK ruling (2012) where the Court decided against the deportation of the preacher Abu Qatada, linked to Al-Quaida, to Jordan due to the risk of being tortured in this country. At that time, the British government was so upset it evocated the option of a “temporary withdraw” from the Charter in order to proceed with the extradition. 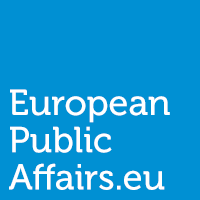 This kind of heated situations is not unique and can be found in a series of rulings from the ECtHR that proved to be highly unpopular in the United-Kingdom and among eurosceptics. Along these cases, some structural criticisms have also been addressed to the Court in the recent years: the backlog of cases with more than 150,000 pending cases, the interpretation of the ECHR as a ‘living instrument’ and the alleged interference with domestic politics leading to impose the Court’s supranational views on the national courts and authorities. Concerning the backlog, it originates from the expansion of the Council of Europe to the countries of Central and Eastern Europe after the fall of the Berlin Wall. From 23 Members it has grown to 47 members today. As a result of this expansion, the number of applications and judgments skyrocketed whilst the ECHR contributed to establishing stronger Human Rights Standards in the whole region. To tackle this situation, the Council of Europe has made great efforts to reform the Court, notably through the adoption of the Protocol n°14 that has introduced new dispositions designed to maximise the relatively scare resources of the Court by rationalising its procedures. As far as the “living interpretation” is concerned, this concept is not the own creation of the ECtHR as Paul Harvey rightfully points out: this principle is “firmly established in the constitutional jurisprudence of virtually every common law country in the world, we must give up the idea that it is a self-aggrandising invention of the Strasbourg Court”. Thus, the claim that the Convention itself is totally fine but that it is the interpretation by the Court that is problematic as a “subjective and anti-democratic instrument” does not stand. Finally, the alleged undue influence of the Court on national matters would imply first that the Court spends most of its time seeking to interfere with British politics, using every opportunity to enter the national debate – a story that is clearly not evident from analysis of all cases. 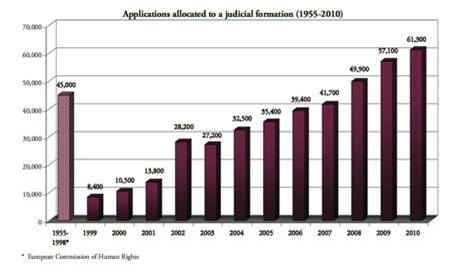 According to the ECtHR statistics (1,2), in the period 1959-2010, the Court only took up 443 cases of judgments. 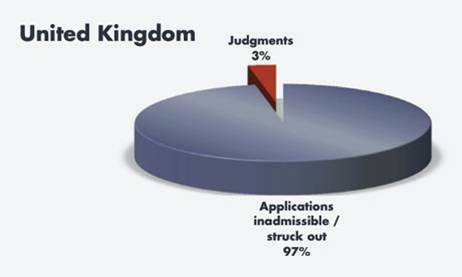 This represents only 3% of the application received by the Court, which means the ECtHR has struck out as inadmissible 97% of the applications (14 029 cases). Among those 3 % of applications, only 61% of the cases have led to the conclusion of a violation of the Charter (271 cases) while at the same time in 19% of its rulings (86 cases), the Court has declared there was no violation. We are indeed far away from a systematic attempt to exert undue influence over national decision-making in a meaningful way. The United Kingdom’s reticence to accept the rulings of the European Court of Human Rights is not unique in Europe although the intensity of its opposition and the tension in its relation with the Court have so far not been matched by any country. Of course other countries also have their own sensitive cases, such as the impact of the Salduz v. Turkey ruling on the judicial system of Belgium, the independence of the prosecutor in France, or the case Hudoc vs. Slovakia on the forced sterilisation of Roma women. One might think that this issue does not have anything to do with the European Union but the repercussions could actually be far reaching for it too. As pointed out by Roseline Letteron, although the CoE and the EU are two distinct organisations, questioning the ECHR can be seen in the eyes of the British people and mainly for eurosceptics as the first step towards questioning the European Union in light of the upcoming referendum on the British Membership to the European Union, promised by the Conservatives to take place in 2017. The CoE does accept to make an exception for the UK, which will open the Pandora Box with the remaining 46 other states claiming similar privileges. As this article demonstrates, the eurosceptic rejection of the European Union runs much more deeply and is not only directed at the EU: one should not forget that the UK has shown the same behaviour towards the European Court of Human Rights. In both cases, the United Kingdom seeks for opt-outs, instrumentalises the principle of subsidiarity to defend a sort of ‘national exception’ and refuses to be treated as any other member being part of the same international organisations. Today’s eurosceptic UK should not even be qualified as eurosceptic since it is not the European character of their opposition that is at the forefront but rather their blatant refusal to consider binding supranational institutions as legitimate tools for cooperation. Instead they prefer to see them as an infringement on their national sovereignty. So when the UK denounces the ECtHR rulings as a betrayal of the original ECHR Convention, the problem does not reside in the guarantees the Court grants to the individuals seeking protection from the States violating their fundamental rights. The problem rather lies in the fact the nation which gave us the Habeas Corpus is not able to see further than its reticence to everything foreign-related, a situation which certainly cannot be solved with judicial reforms or Membership renegotiations since it does not target the root of the issue: the British ‘sovereignism creep’ that pushes the country to reject any attempt of meaningful cooperation at the international level, be it the European Union or the European Court of Human Rights. EU Competition: One for All, or All for One? The problem with the ECHR is that it does not protects the rights of the very people it was supposed to. It seems to protect the rights of the few over the rights of the many. If both parties are entitled to human rights who wins, the victim or the perpetrator. The problem with the EU is it believes that before it was invented we all lived in caves and had never had any meaningful for or government, well we did and indeed far better than the EU in many circumstances.